Happy Monday one and all! I thought it was time to provide you all with a sweet little printable that you can have at your bridal shower or wedding! Print them at home, onto cardstock, or take it to Staples, for example, to make multiples, etc. To access the file, click on the image above, or here, you'll be sent to dropbox, where you click on the file there to download to your computer. 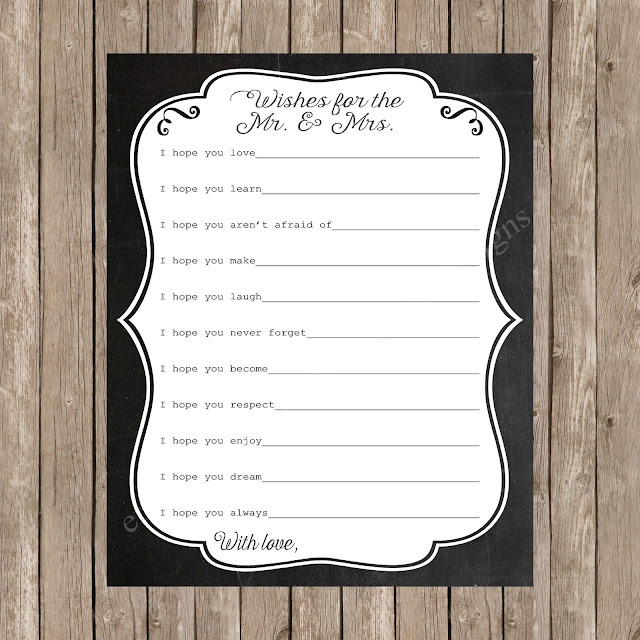 I do make these in my Etsy shop (Savvy Deets Designs) if you would like to add customization to it, but if you're in need of a sweet little something for your guests to fill out, here ya go! Enjoy!